What is a circus party? At Circus Akimbo, we run circus workshops for all sorts of groups, including birthdays, farewells and hen’s parties. 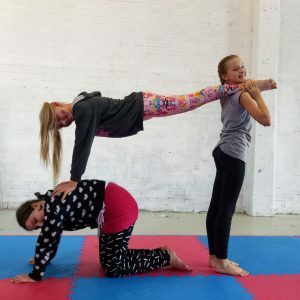 Whether you’ve never done circus before or you’re a seasoned pro, the experienced trainers will make sure the whole group is having fun and learning new things with trapeze, hoops, juggling, aerial silks and more. You will have exclusive use of the venue, with a table, fridge, kettle and microwave all supplied for your convenience. We also supply reusable cups and bowls and a water jug to cut down on one time use plastic. Any food, drink or decorations you wish to have. Please note that no alcohol is allowed, and we recommend not having a big meal right before doing circus. The venue will be open at least 15mins before your party. Please contact us if you have any special requirements and need to arrive earlier than that – there may be another booking, but if possible we’ll do our best to accommodate your needs. 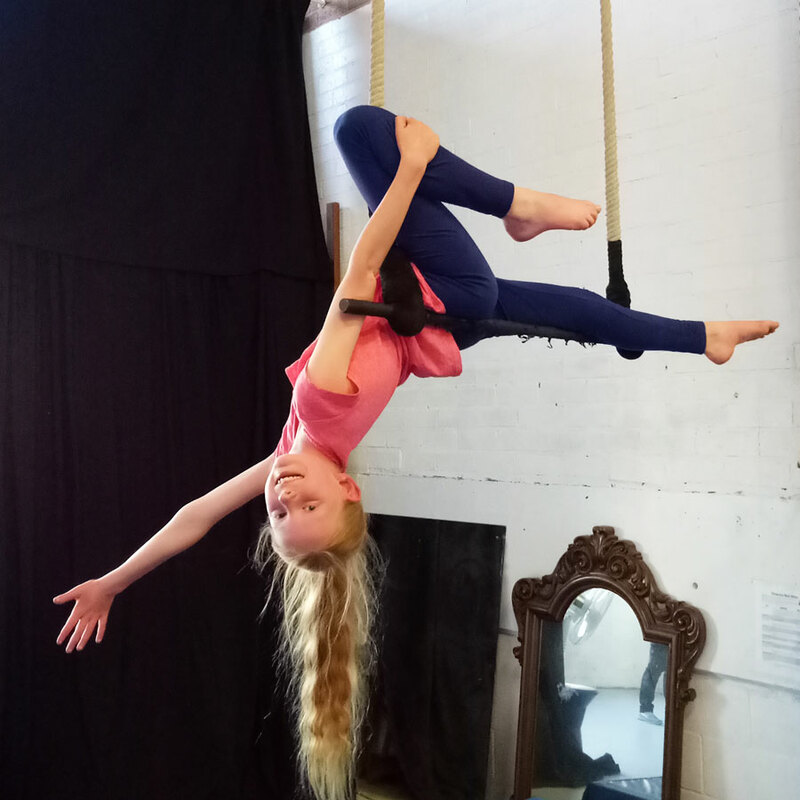 We have a detailed blog post on what participants should bring, but in general you’ll want comfortable clothes you can be upside down in (no skirts or loose tops) with no metal buckles, buttons or studs if you want to go on the aerial silks. What if we have extra participants on the day? No worries. Let us know if there’ll be dramatically more than originally expected, but otherwise we charge for the first 10 students and then take final numbers on the day. Are you able to include special needs/younger children/older students/injured participants etc? No worries. Let us know if there’ll be dramatically more than originally expected, but if not you’re welcome to pay for any extras on the day. We’d prefer to know in advance if you have any special needs, but yes, we are able to tailor all our sessions to fit a wide variety of students. Please be aware however that the trainers reserve the right to alter the activities to suit the attendees, and will not negotiate on safety issues.